If you've played much you will find there are certain aspects of the game that just don't excite you or your trying to get a assignment completed or whatever the need may be, we have the answer! We've been doing much of this thru the complete BATTLEFIELD series & will continue forward. Listed below is all the connection information needed to get you connected, Please read the entire thread so you're aware of all our expectations! If you need help further, you can PM me thru Origin or simply reply to this post as I do monitor it daily. We are NOT a clan so there is no forums, no drama & no requirements for you to donate to the servers however it is appreciated. All donations made to our servers go directly to the servers not any one specific person therefore reducing the cost & protecting the [sP8z] Community in it's entirety. 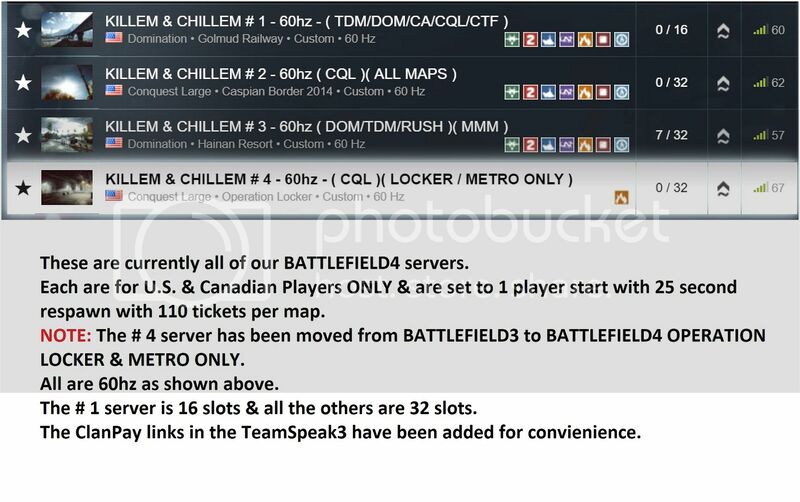 Currently our BATTLEFIELD4 servers are paid up into June of 2018 & MAYBE we will have a BATTLEFIELD5 server set up. All the TeamSpeak3 information is located in the second post to this thread as the forum size limit exceeded the limit. ( A ) Most all our members are veterans & have extensive knowledge concerning the game therefore if you have any questions I'm 100% certain we can find the answer. ( B ) If your having issues with your computer or you need assistance with optimization, we utilize TeamSpeak3 & Teamviewer12 & other various tools to resolve any issues you might have. ( C ) Everything we do in our servers is done by request, map / mode / ticket rate / spawn times / vehicles ( first come / first serve ) ect. ect. unlike others which allows you the opportunity to advance as well as gain BATTLEFIELD4 knowledge overall, this will continue on into BATTLEFIELD5. ( D ) We use TeamSpeak3 to communicate & if you don't have TeamSpeak3 installed we will GLADLY help you thru the entire installation process & customization, listed below is a complete [GUIDE] to get you connected. As I stated earlier if you need further assistance QUOTE: You can PM me thru Origin or simply reply to this post as I do monitor it daily as well as other [sP8z] members. ( E ) Our Servers are located in St. Louis Missouri & they are set REGION SPECIFIC which means unless your from the U.S. or Canada you will be kicked! ( 1 ) NO RACISM ( PERIOD )! - NOTE: Ban violations for racism will NOT be lifted! We have 4 servers for you to play in, ALL 3 SERVERS ARE 1 PLAYER START @60Hz so it only takes 1 person to start the ticket count / score. Please don't stat-pad as it is against the EA TOS so fight the good fight! NO PRO PLAYERS PLEASE - TeamSpeak3 is MANDATORY! BATTLEFIELDV if ever the RSP servers become available! Great group to play BF4 with. 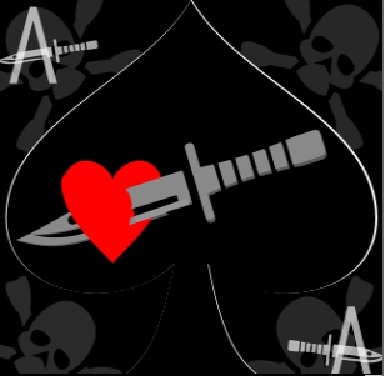 Mature players & EXCELLENT friends to game with, we've been gaming with some over 12 years! "Good tactics can save even the worst strategy. Bad tactics will destroy even the best strategy." "A good plan, violently executed now, is better than a perfect plan next week." Bunch of Dirty Mouth perverted fun OL GUYS. Great group of people. Come on in and play a round. Be sure to join Teamspeak so we can chat and get to know you. You can learn a lot about BF4 here. Give us shot if you want a good time. "One can only gain knowledge if desired but will only grow bored by not trying, new things can be beneficial"
Just some helpful info! Come n check us out! Awesome & Thank You VERY MUCH!